Nobody told me about thunderstorms in Florida… I arrived on Monday after the most turbulent flight I have endured with commercial airlines (which is still an amateur day compared to my Navy flying days) and it sounds like a lot of the other attendees flew through these same storms. Monday featured severe weather so I missed any poolside time that I might have envisioned, however I did spend the afternoon with the VinSolutions team learning about their newest updates. Since it was pouring outside when we finished, we decided to take a 2 minute cab ride across the bridge to our hotel. Cost – NINE DOLLARS! Wow, I think the modern day pirates are driving taxi cabs in Tampa now. Of note, I lost my Uber cherry while at Digital Dealer and picked up a ride at minimal cost later while returning from an after-hours function. I think I like me some Uber… After a nice dinner with my great friend Alex Jefferson, we attended a mixer party on Monday night. 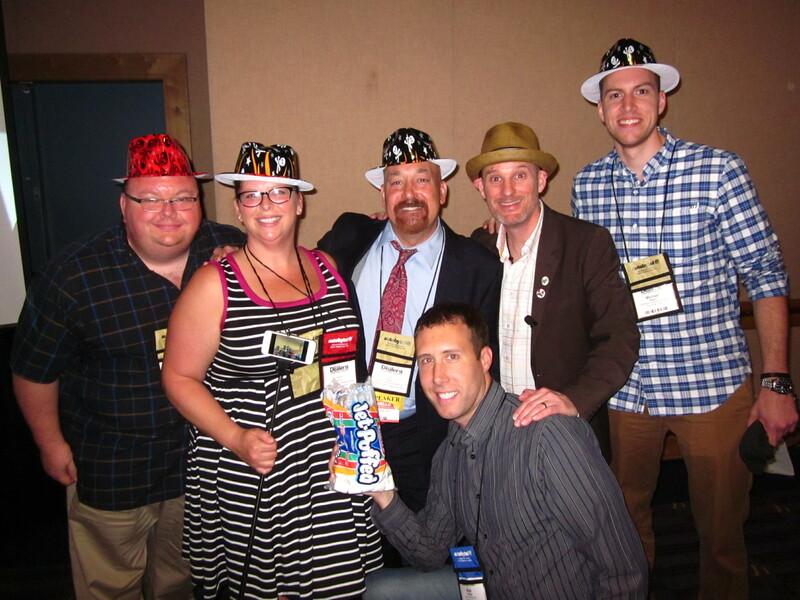 See some clips here with the short Digital Dealer 18 video I put together. I arrived early to get my registration badge and was greeted with some nice steel drum music, along with a roaming band of pirates. I was joined by Mike Roscoe and Dennis Galbraith who were also starting their day early. Unfortunately (and not surprising), most folks showed up just before 9 to get their registration badges and the line was soon out the door. Looks like most of us did not take advantage of the early registration pickup the day before. This works easier at the Mirage (since most of us are in the same hotel as the conference) in the fall conference, perhaps registration pickup at the hotels would be easier for something like this? (but I am not sure of the logistics). There’s dollars in dem dere data!… Yes, it’s true. Tony Rhoades, formerly of Gunn Automotive, crossed over to the dark side and is now Vice President of Product at AutoAlert. All kidding aside, Tony holds my highest respect in the industry, and he brings a lot of value to the team at AutoAlert. Tony’s session, “Convert Your Data into Dollars!” emphasized that while many dealers are good at “mining” their data to find sales opportunities, most fail on knowing what to do with this info. If data mining is the best tool for selling more cars while acquiring great trade-ins, why do we still struggle with great action plans on how to use this data? As dealers work to sell to the younger generation, I believe that data mining will become even more effective. With today’s “I must have it now” younger generation, a well-timed call or email from a dealership offering to put them into a newer car at the same or lower payment would likely work pretty well. It’s netWORKing, not just sitting around and talking… The peer networking tables had strong attendance this conference, and there is not enough room to talk about all of the topics discussed at our table. To BDC or not to BDC, should you use AutoTrader and Cars.com, and if so, how do you measure them, which CRM tool works best for you, etc. 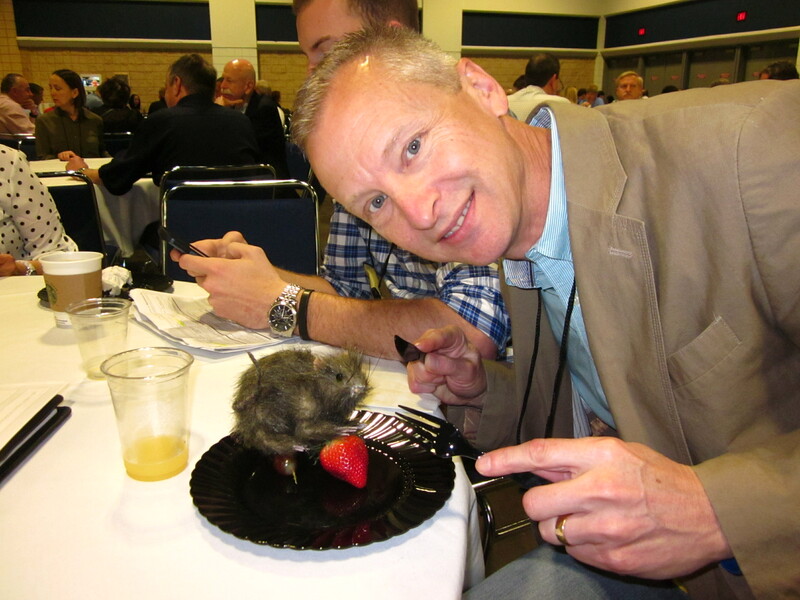 I know that at our table we were also swapping thoughts on what sessions to attend for the rest of the conference. 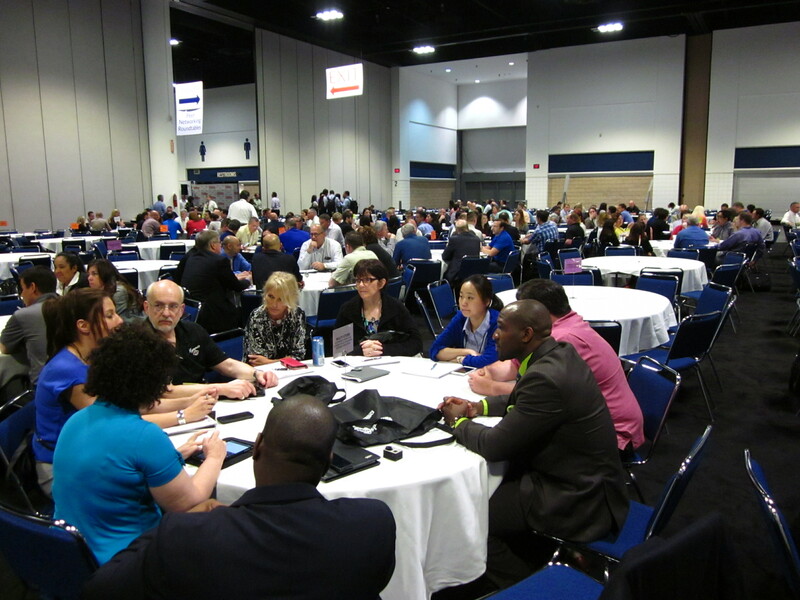 When I look back at the early Digital Dealer conferences and compare them to now, I am impressed at the level of knowledge of my peers at these networking tables. This is also the one time at the conference where I see the most business cards exchanged. Seems like most people are looking for these invaluable networking connections to follow up with AFTER the show ends. Rub a dub dub, time for some grub… All that learning sure gave me an appetite. That was until I saw the rats. There were rats running around everywhere while we were trying to eat. I think this whole “pirate ship environment” theme was taken way overboard. I AM KIDDING!!! I have to share that one of the exhibitors (who shall remain unnamed) had a fake rat that they were hiding under the tables so that they could watch and see folks’ reaction when they sat down to eat. It was not only hilarious, but they got Alex’s friend Rodney on 3 different occasions – too funny. Did I tell you that the best folks work in automotive? Both dealers and vendors are personable, outgoing, and have a GREAT sense of humor. Pack’em and Stack’em – standing room only folks! 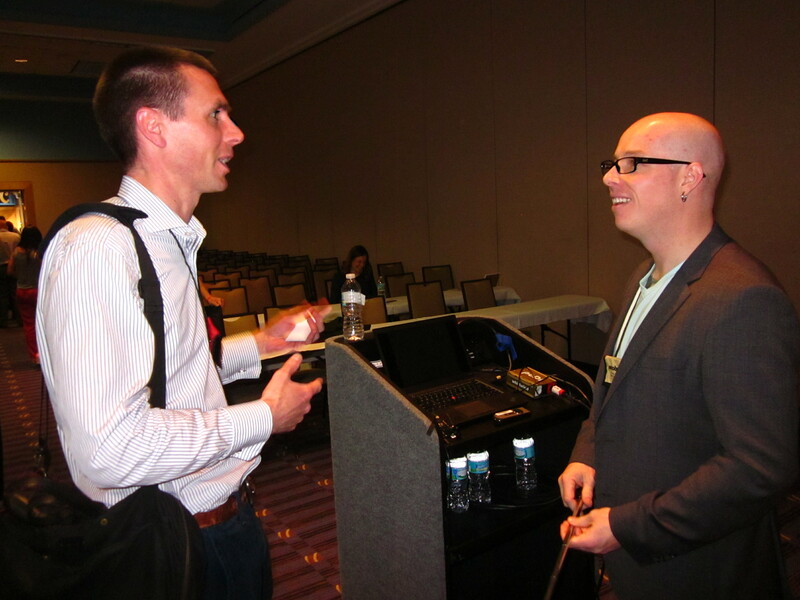 I was up next with my session “Finding Your Optimal Digital Marketing Mix with Google Analytics”. I was humbled to see that we were not only standing room only, but we had folks sitting up front on the floor and to the sides of me. No problem, I had put on plenty of Brut cologne earlier in the morning and the crowds didn’t intimidate me at all. My session featured some advanced tactics on how to use Google Analytics from a dealer’s perspective to best identify who is performing (and who is not) with your digital marketing mix. In today’s hyper-competitive automotive market, a “gut decision is a nut decision” and the successful dealers are holding their marketing partners accountable. Why not? Aren’t we all in a performance based industry? I am here to tell you that YOU CANNOT OUTSOURCE SOMEONE TO GIVE A $HIT – and while that might not be a popular statement, it is true in almost all cases. Leading dealers must get involved in their reporting to not only hold their vendors accountable, but themselves as well. If you would like a copy of my deck – you must leave a comment below on the review and share your email address. I promise I will send it to you, and you will get some great info on how to best use your Google Analytics. Better late than never… I was a bit late for the next session “Let’s Talk About Vendors and VDP’s #accountability” with Bobbie Herron. Unfortunately Bobbie was struggling with some technical difficulties but Subi Ghosh came to the rescue to try and help with her online videos. I only share this as I have had difficulties on 2 speaking occasions in the past where the Internet did not work and videos did not want to play. Hence I use screenshots and embedded videos almost exclusively now. Gimme a call Bobbie – I will help you and I EMPATHIZE! Bobbie shared some of the efforts she has spearheaded internally in creating reports that show their VDP performance and more. She uses these tools to identify problems within the dealership that need to be addressed to best merchandise her dealerships’ inventory. Once again, we see the growing movement amongst dealers to hold their partners accountable, along with themselves. 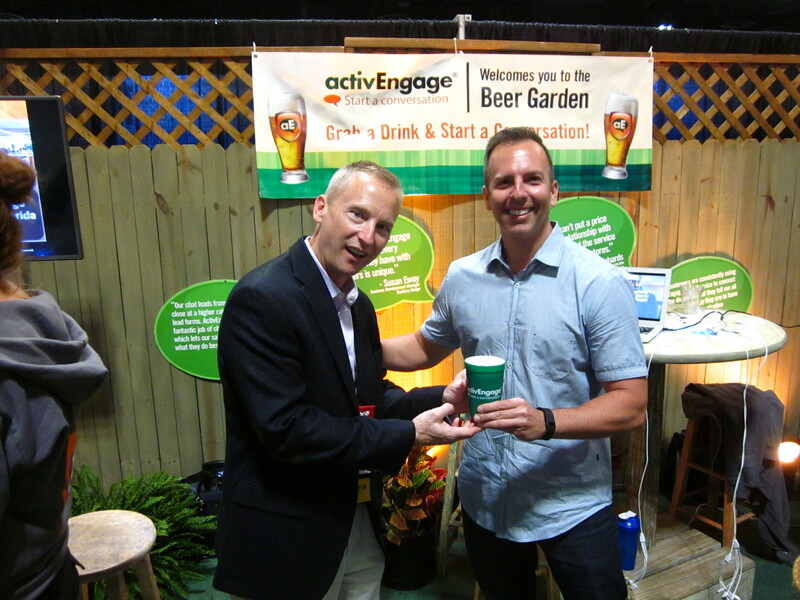 Todd Smith of Activengage serves me some beer – now THAT’S SERVICE! I live underneath a rock when not at Digital Dealer… OK, don’t be a hater, but I was not a follower of Scott Stratten. Was that because I was not a fan? No, I have just not read his books (Unselling) or seen his podcasts, BUT I was very impressed with this keynote session which was packed. Scott shared his personal experiences while buying a car, as well as trying to schedule a service appointment, and while we (as dealers) laughed, it was also a bit uncomfortably. Why? As Scott shared – “Is what you are doing better for your customer, or for YOU?” This is a difficult area. Yes, customers tell you they prefer to communicate via email, BUT we know as dealers that if we can get them on the phone we are going to be much more successful. Yes, customers don’t like high pressure sales tactics, BUT they work or they would not exist. I could open a real barrel of worms here but suffice it to say this, the Internet has brought a new level of transparency to the car buying experience that is forcing us to be better, and that is good. As one of the top social media influencers in the world, Scott brought some great insight on how to best sell to our modern day customer. 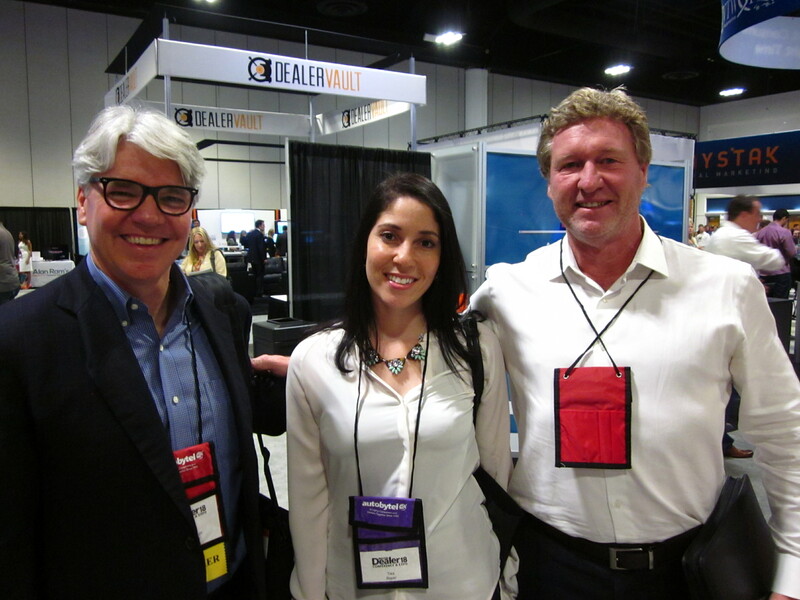 Drinking and thinking are a natural fit, well, at Digital Dealer they seem to be… Exhibit hall was packed, and I understand that there were a record number of vendors present. 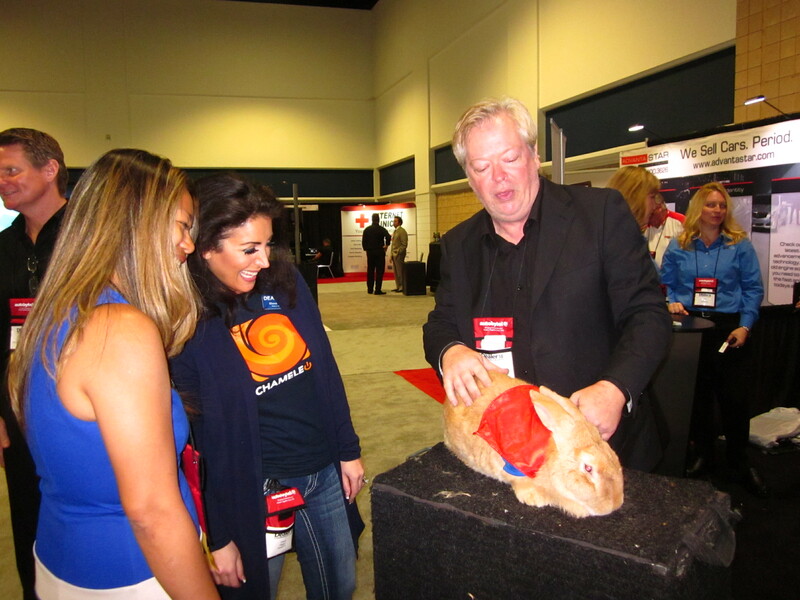 In fact, compared to recent conferences, I spent a lot of time on the floor looking at new solutions, getting demos, meeting with current vendor partners, and more. It looked like a good ole VinSolutions’ reunion at the Motofuze booth where they were featuring their new platform which allows you to see, sense, and respond to every customer in real-time. Motofuze features an all-star team of talent that includes Mike Dullea, Kendall Billman, Tom Walls, Joey Little and more. I am definitely following up on their solution in the upcoming weeks. Ready, Mine, Action! VinSolutions was featuring their new data mining platform which is still being developed, but holds a lot of potential. Why? There are several great data mining solutions in the market now, to include Auto Alert which I also demo’d. The key issue in my mind is taking that mined data and putting it into an actionable format. I like the idea of it being directly housed within our CRM tool as we can maintain one central platform for our sales reps and managers to work within, and access this data mining data and actionable processes. Now take that data and combine it with an ongoing, automatic process and I am happy – which is why I am intrigued with the direction VinSolutions is taking…. Is that a transistor radio you are listening to? 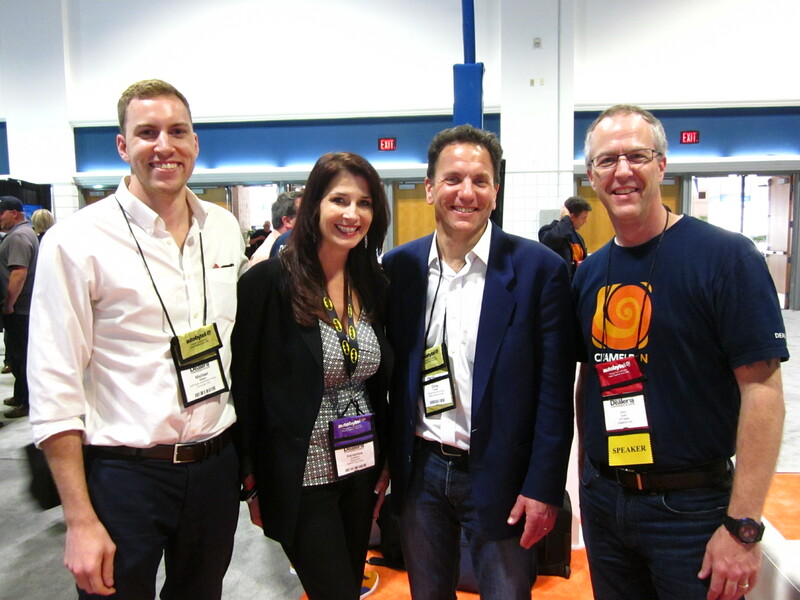 Wow… Enjoyed meeting with the folks from Pandora while at Exhibit Hall. The recent CarStory used car shopper study (this is a must read) shared that the top 3 features car shoppers are looking for in used cars are MP3, Bluetooth, and iPod connection. It is how people listen to music now in their car. If you are supposed to fish where the fish are at, and more of your shoppers are now using Pandora, should you consider being there as well??? 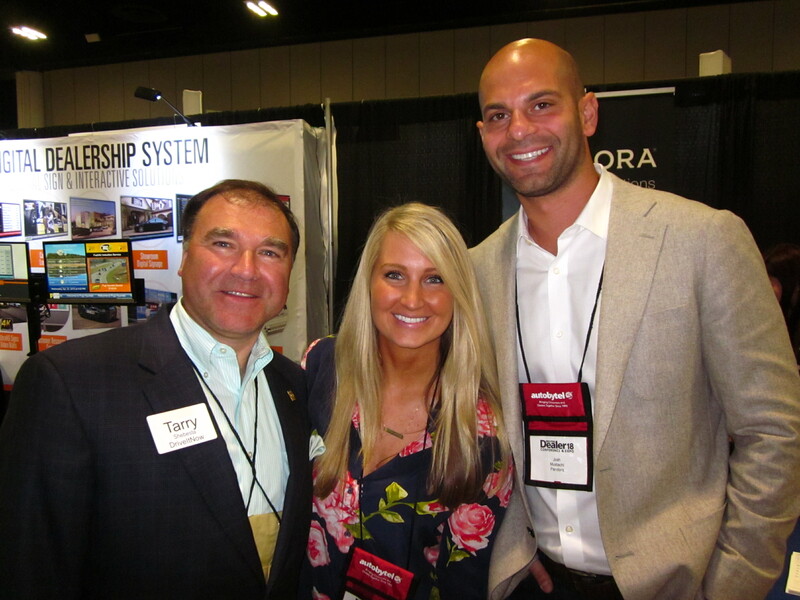 Tarry Shabesta of Driveitnow with Gaylie Felchlin Candler & Josh Mustachi of Pandora – great folks! Who wants to drink some windshield wiper fluid? 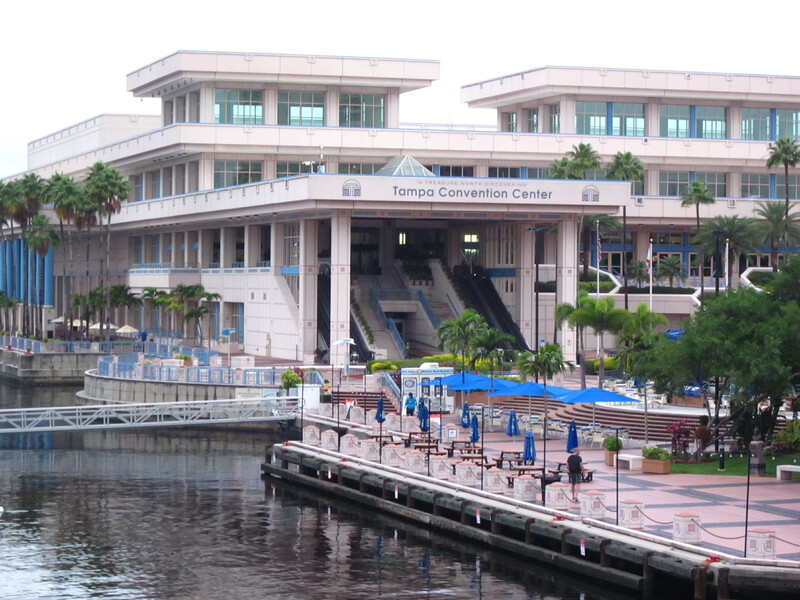 Time to head over to have some great food and drinks at the VinSolutions’ party at the Marriott. Enjoyed their signature drink – though I don’t know what it was. It was bright blue and kinda looked like windshield wiper fluid, with more alcohol, but this fluid actually made it more difficult for me to see straight. Now what was that paper I signed?? Also got to meet the folks from the Facebook automotive team, take some goofy pics in the photo booth, and spend time with great friends. If I sang, you would croak-ie at this Karaoke… The night did not end there – it just moved to Joe Webb and Shaun Raines‘ Karaoke night. Holy schnikes! I walked in and Eliana Raggio was absolutely knocking it out of the park with the first song I heard. I could quickly see that this was not your typical “let’s drink a case of Pabst Blue Ribbon and suddenly I think I am the next American Idol” night as there was some great talent singing. Work hard and play hard, it’s time to Rise and Shine! Thank you DD18 for the great breakfasts to start each morning. I needed that and a couple of cups of coffee to renew for my next jam-packed day. I spent some time with Canadian superstar Robert Karbaum, who was dropping his “car-bombs” of knowledge on us in regards to social media. Robert emphasized a point that I was making some time back – folks follow their passions, not necessarily car dealers. If only three to six percent of our Facebook efforts are actually seen by our friends, how much impact can we make? Can it be done? Can you measure an ROI on social media (answer is YES – I showed how you can see it in Google Analytics…). Robert shared some of the successful efforts they were having with social media and the one thing he shared that really resonated with me is this – “Twitter is ADD in the digital form”. You may argue with that, but Robert is right. Your time of exposure on Twitter is often measured in seconds, and the resulting ROI is poor. Take a look at the business reports on Twitter and Twitter’s struggle to make money. Might be a signal to focus more on Facebook and other social platforms rather than Twitter. Are things heating up on your website? Next was “Wrong Metrics = Skewed Results = Wrong Reactions” with Jason Ezell. Jason was one of the early pioneers of all things automotive and digital and his knowledge and experience is something I greatly respect. While most of us are good at gathering data for reporting, how many of us are good at comparing that with benchmarks? Jason showed that we should compare (for example) our website performance data with our average DMA market as well as the national market. Hey Jason – where can dealers like myself easily find that information? Please share in the comments section. And dealers, when is the last time you ran a heat map on your website? Beauty and the Beast? (just kidding AJ!) The dynamic duo of Kate Frost of Kate Frost Inc. and AJ Maida presented “It’s NOT Social Media It’s Social Commerce”. While several great ideas were shared, I loved one that was featured – do you have any old pictures of your dealership? Use these on social media for your “throwback Thursday” efforts and more. I know that we have an archive of old Jeff Wyler dealership photos that could be a lot of fun. Kate and AJ also shared that we should tap into what our customers are passionate about. After the insane winter the northeast just endured, AJ shared several pictures and posts that built upon the common issue everyone had to deal with – TONS of snow. Did you know that you can invite people who liked your post to then like your page? AJ uses this tactic to build up his fan base. 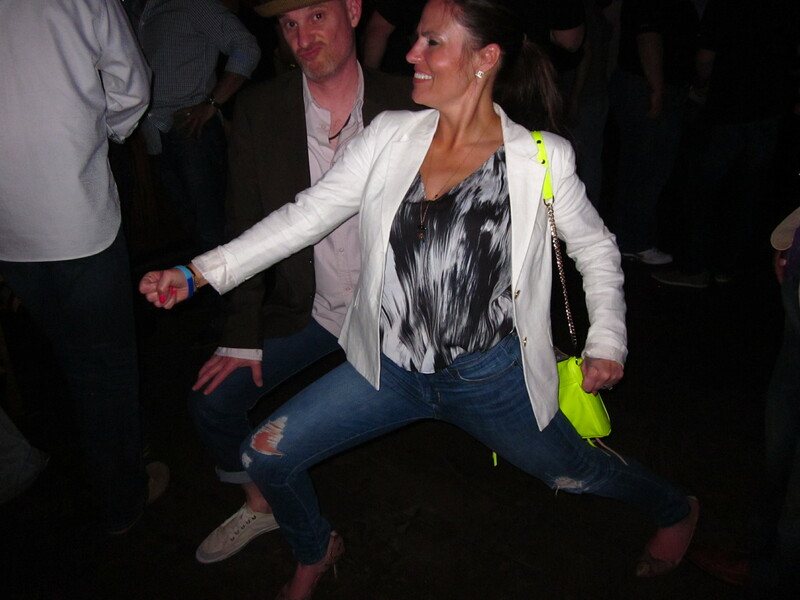 Of note, I vote Kate Frost as the most stylish attendee of Digital Dealer 18, though Brent Wees was a close second. 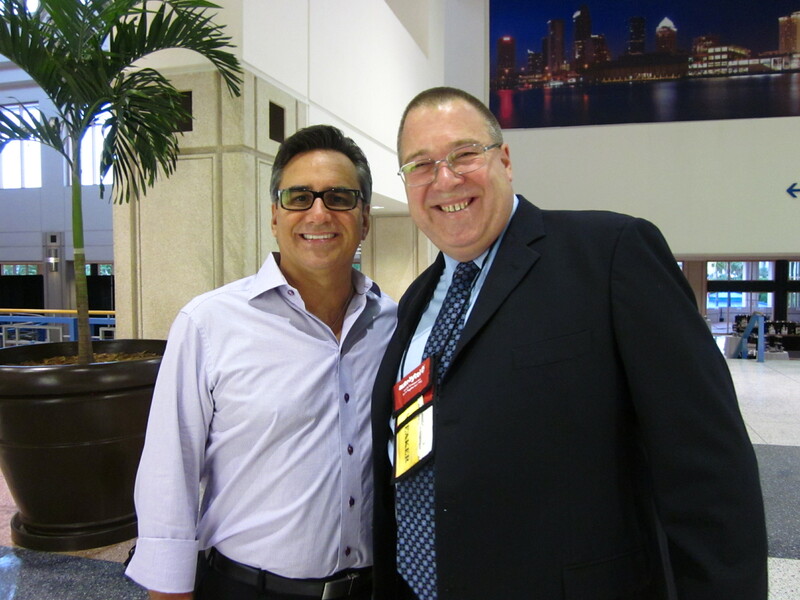 There are may days that I feel like a robot… After another great lunch and more demo’s on the exhibit floor, I went to “Vendor Traffic/ROI” with Jeff Tognetti of DealerX. While this was an informative session on the perils on the Internet with Bot fraud and more, many of the attendees were so discouraged with their Internet efforts at the end that the running joke was “Put everything back into the newspaper, the Internet is broke!”. I would share that we do our best to closely monitor our digital marketing efforts to best avoid bot fraud, and have even completely pulled our re-marketing and online display ads at some points as we deal with this. However, we still drive significant GOOD traffic with digital marketing that sells cars. I agree with Jeff that you should closely watch your reporting to ensure it is as accurate as possible, however we will never totally avoid online fraud. We can be proactive in getting the best results we can with due diligence. I will be looking into this some more in upcoming weeks – very insightful session Jeff. What? Do you think I am a clown? Do I amuse you? OK, after years of abusing my Canadian friends, I should have expected nothing less from Brent Wees when he asked me to volunteer than some friendly humiliation – at least Bobbie Herron was there to join me as I stuffed 10 marshmallows in my mouth while wearing a garbage bag and safety glasses. Brent’s session on “Mobile Optimization” was my favorite at Digital Dealer 18 as he was able to take the complex technical issues involved with mobile optimization and explain them in a SIMPLE format that dealers could understand. Brent was one of the pioneers of responsive websites, yet he will be the first to tell you that there is a lot more involved to mobile optimization than just changing the size of the display on your PC and watching everything drop into columns. Google just publicly announced the launch of their latest mobile algorithm change on April 21st (Mobile-geddon) and astute dealers have been watching this area closely. How is your website performing via mobile? Brent offered two great tips. First, have your mother try to book a test drive, or schedule a service appointment on your mobile site – can she do it? And second, for the right price, you can have your site tested by a drunk user. Really – your website should be so simple that a drunk guy can use it. You heard me, go to theuserisdrunk.com and give it a shot. Or better, just buy Brent and I several shots and we will test your website for free. The Hour of Power… I missed the final keynote by Jim Knight, but only because I was back on the exhibit hall floor. Did I mention before that I have not spent this much time on the floor for the last several conferences?? I must share that I missed a session that generated a LOT of buzz – “Watch and Learn Principles of Hypnotic Influence and Persuasion That Are Almost Impossible to Resist” with Tim Triplett. My buddy Alex was showing me videos of the many folks that were hypnotized during this session to demonstrate the power of persuasion. Hard to believe, I know, but I will refrain from posting the videos for the dignity and privacy of those involved, but they were hysterical. I understand this session will likely return in the fall and I will be there in the front row! Tricks are for kids, and also for Eliana Raggio. 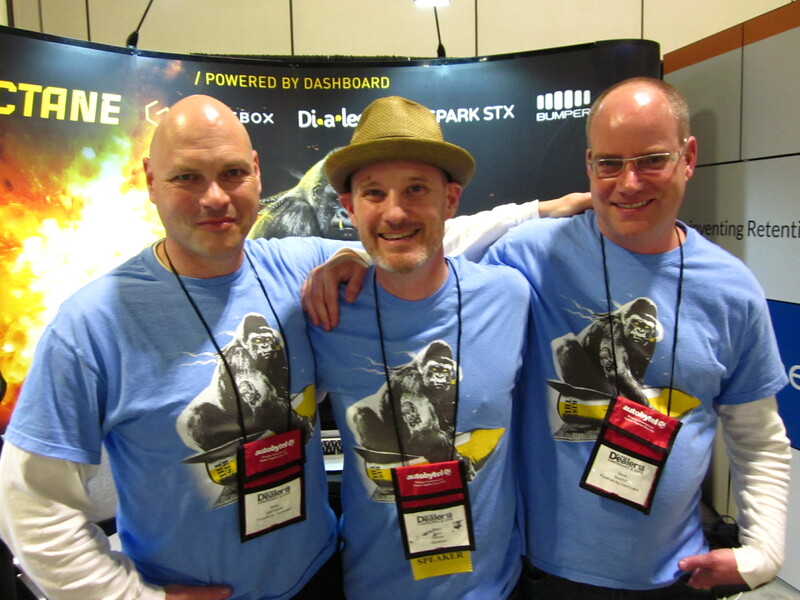 Seriously – FUN idea for a booth, love it! You gotta fight, for your right, to PARRRRTTTTTTTYYYYYY!!! 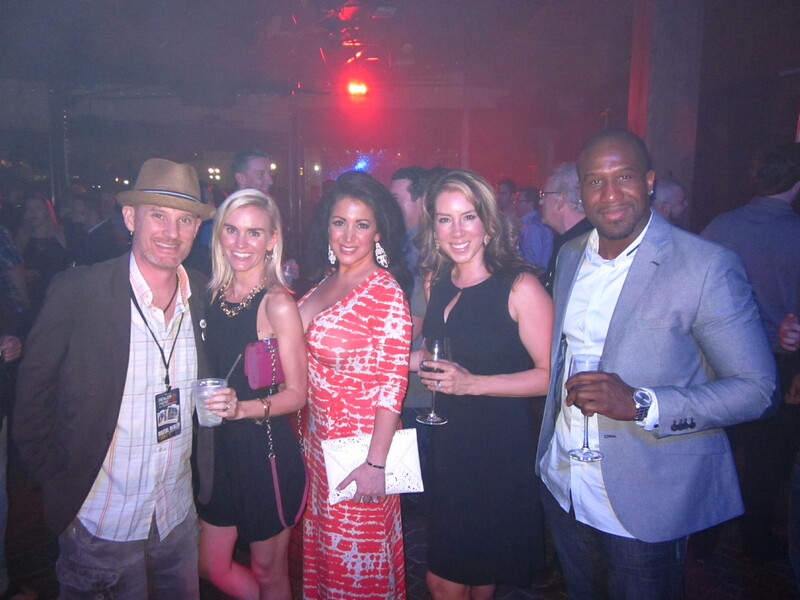 The DealerOn and Motofuze party was a TON of fun. Many thanks to the great folks at both firms for this incredibly fun get together. 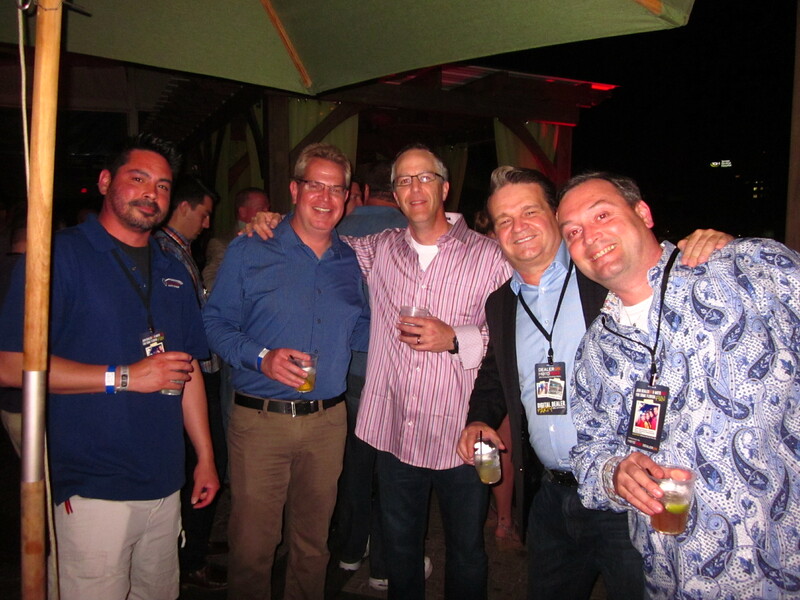 I think a lot of our automotive family released a lot of stress at this party as it folks were tearing it up, lol. The kinds folks at DealerOn treated me to dinner (I barely had time to return from the networking/cocktail hour to shower and return for this) and then we got to spend time with so many great folks. 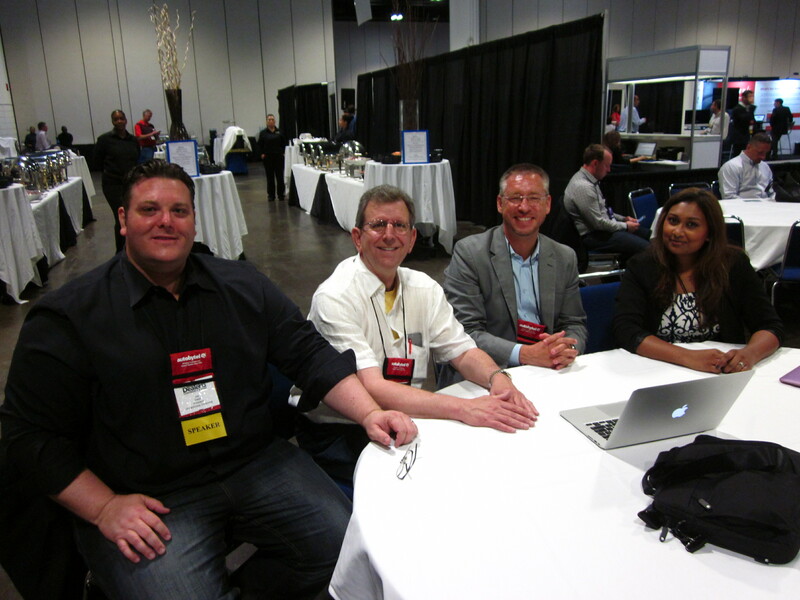 When it comes to website conversion, the crew at DealerOn are the best. 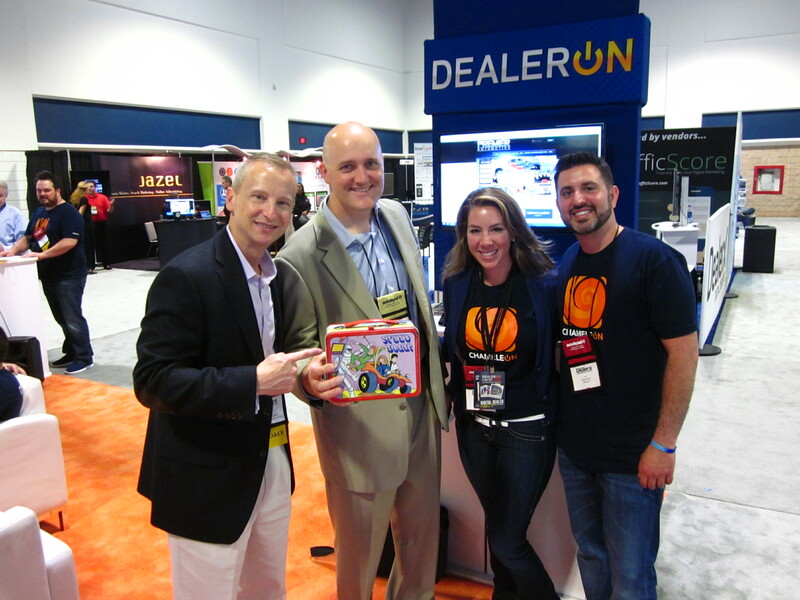 When it comes to hosting a party at Digital Dealer, DealerOn never disappoints!! Thanks to the awesome folks at MotoFuze as well!! Talk about energy in the morning… Congrats to Peter Leto, Mat Koenig, and Rick Lopez who brought a lot of energy to the early keynote panel on Thursday morning. Mat Koenig entered with a spray of water in the air that was a first for me to see, lol. The hispanic market continues to grow in automotive, yet it is largely untapped by dealers throughout the country. Do you have any spanish content on your website? What an incredibly simple thing to add to get some quality search traffic to your site. And once you get it to your site, do you have a dedicated phone number where a hispanic customer can call and reach someone who speaks spanish? 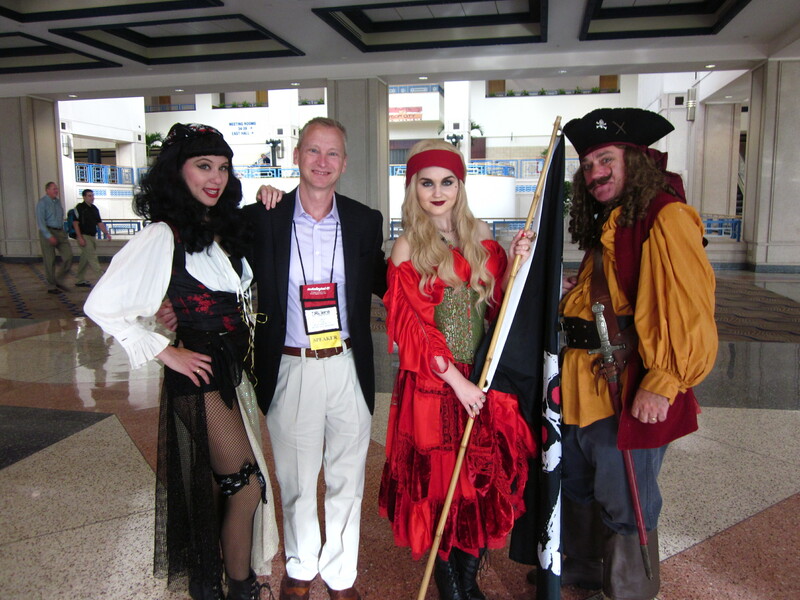 The number one question asked while I was at Digital Dealer 18 was… Where is JULIE Wow, I remember the days when folks were excited to see me, but apparently I am just arm-candy for my better half Julie as she seemed to be the only person anyone asked about. I think Julie’s excuse for not joining me was she was running the BOSTON MARATHON! Yes, I am incredibly proud of my wife who qualified to run the Boston Marathon. And if you think that is impressive, she ran the Boston Marathon on Monday and the following Saturday she ran the Nashville Rock and Roll half-marathon with me. Julie wishes everyone well and will be joining me this fall. 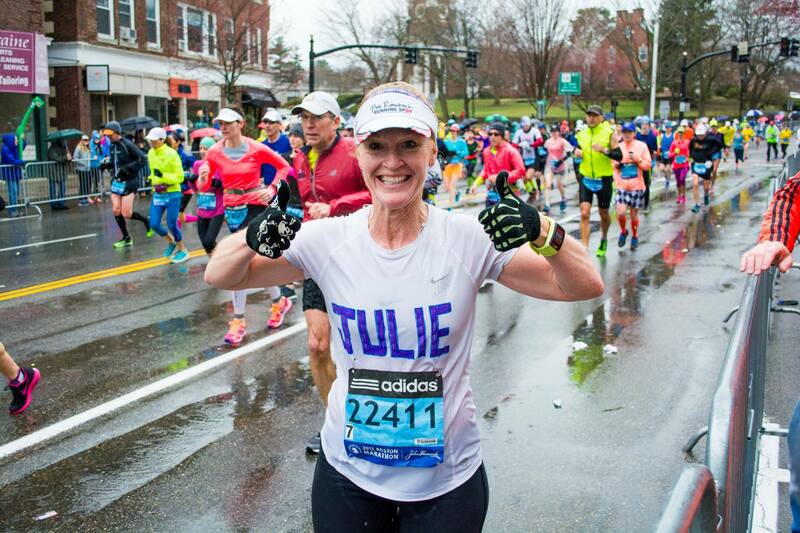 My lovely wife Julie Frye missed Digital Dealer 18 as she was running the Boston Marathon – incredibly proud! The cup is half full, well, let’s say 3/4 full! 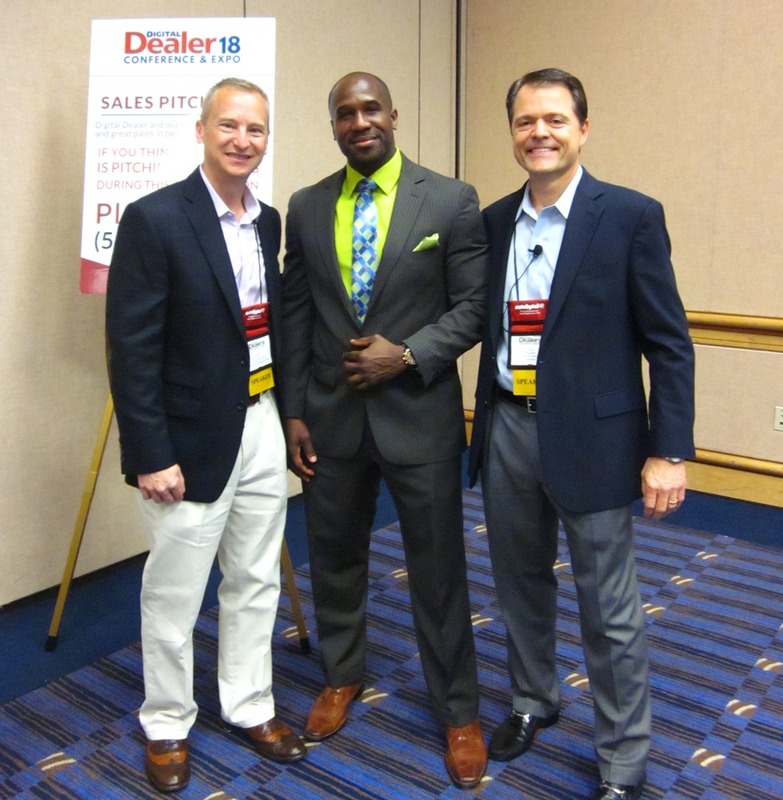 When I look back at Digital Dealer 18, I would share the folks in attendance were incredibly enthusiastic and optimistic. Our market is very strong right now and fellow dealers (as well as vendors) are upbeat about our near future. I have never seen more advanced material than I have at this Digital Dealer, and the trend continues that direction as the overall knowledge base and skill level of dealers across the country increases. It has been an exciting journey watching Digital Dealer grow and mature into what it is today. 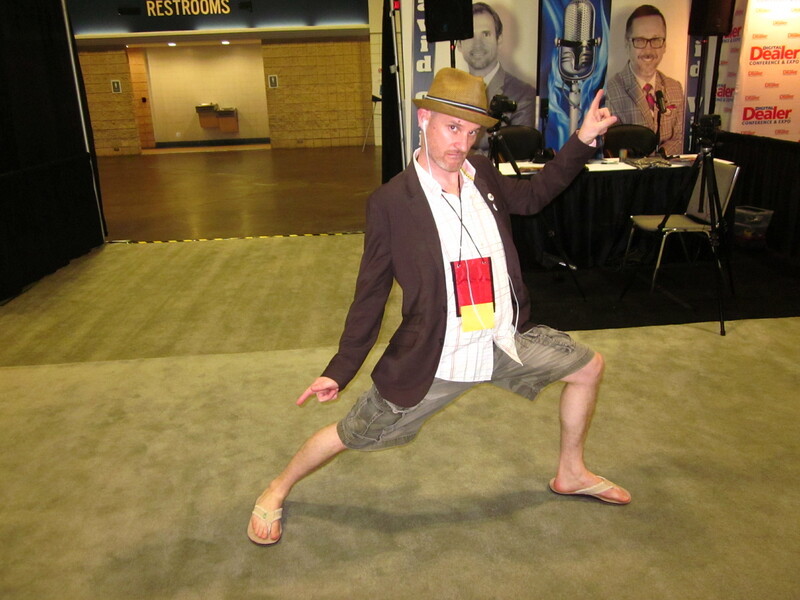 Brent Wees strikes a pose. Don’t ask, even Canada is confused. He did place second after Kate Frost for best dressed at DD18 though. PTL, Hallelujah, and whipped creme on top! 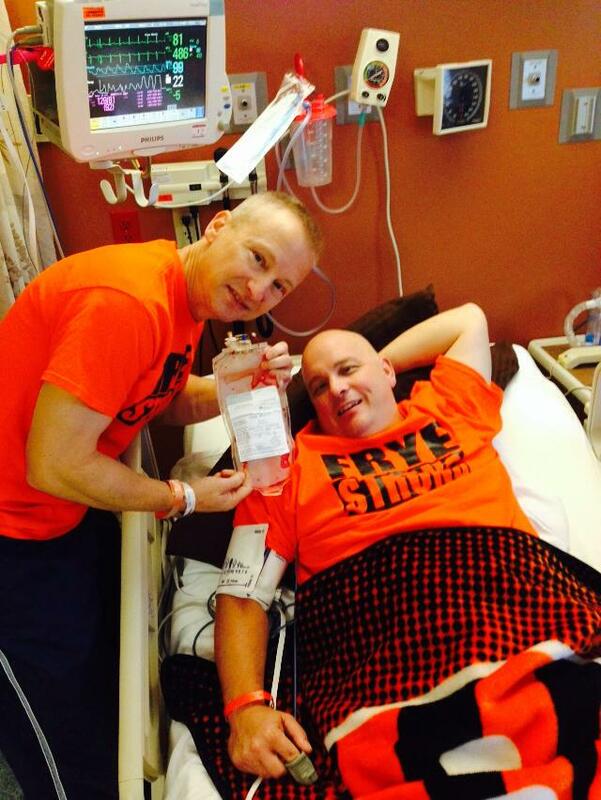 On a personal note, when I last wrote my Digital Dealer 17 review, I was getting ready to complete a bone marrow transplant on behalf of my brother Jon Frye. I am at a loss of words to thank all of my #autofam for the kind thoughts and valued prayers for his recovery. The great news is that the bone marrow transplant was a success and as of about 2 weeks ago, the test results show that my bone marrow is 100% engrafted in Jon’s body – praise God. He still has a long road to recovery, but we are incredibly grateful to all of you. Step right up folks! 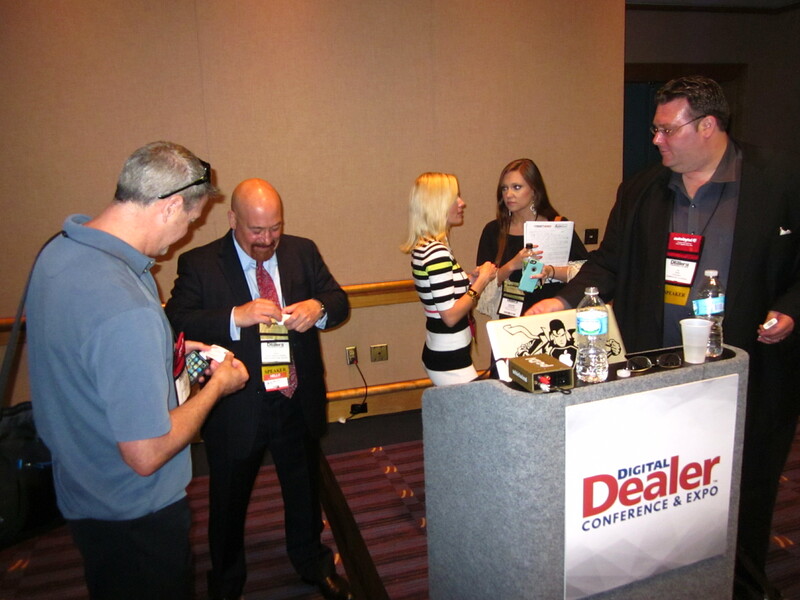 Many of you know Ryan Leslie with DealerRater – and you likely noticed that Ryan was not in attendance at Digital Dealer 18. 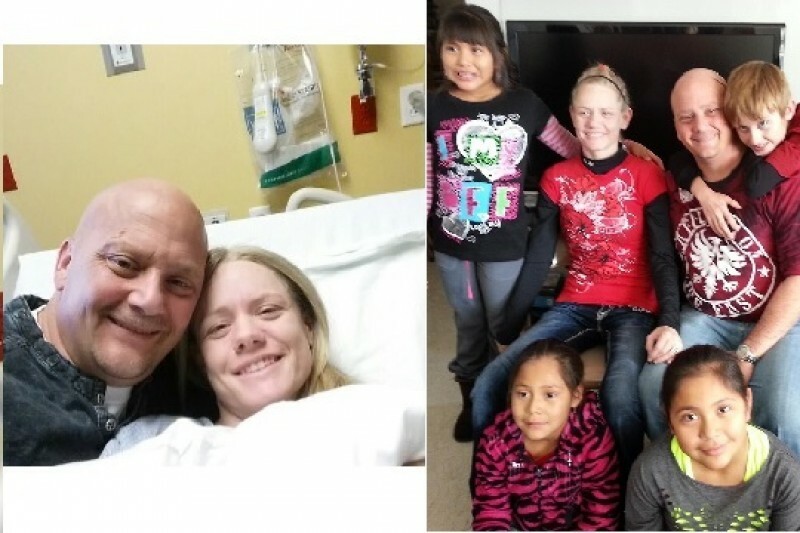 Ryan’s son Caleb is fighting cancer now, and deeply needs our prayers and support. If you enjoy this review, would you PLEASE take a moment to tweet your kind words and prayers to #calebvscancer and @ryanleslie. 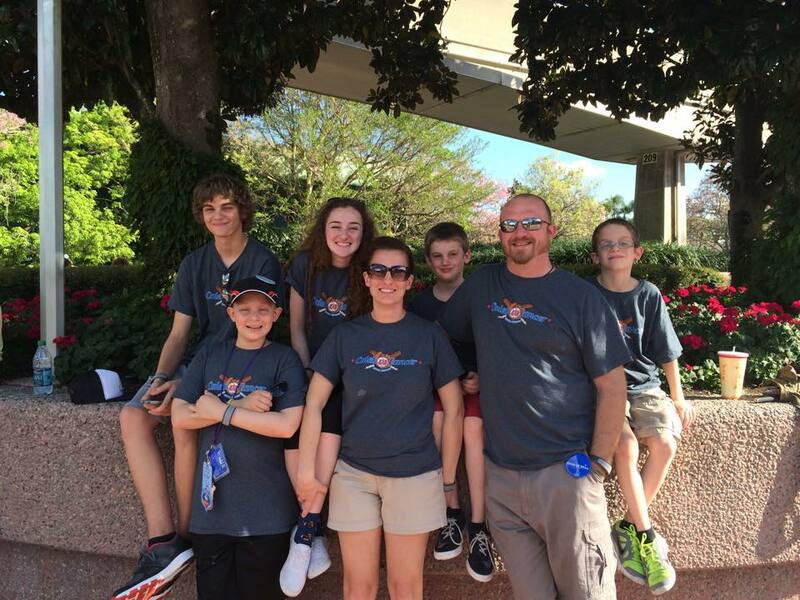 Just as #autofam prayed for my brother, I ask for the same for the Caleb Leslie medical fundraising page. He’s not just a car-guy, he is a GOOD GUY… And it doesn’t stop there. Bryan Armstrong is one of the key guys in the industry that I respect – but not just for his automotive knowledge and experience. Bryan and his wife Tamarra are two of the most loving and unselfish people I know, fostering and adopting multiple children. Please take a moment to visit this page to help get Tamarra to the Mayo Clinic as she also struggles with medical issues. Yeah, that’s right. 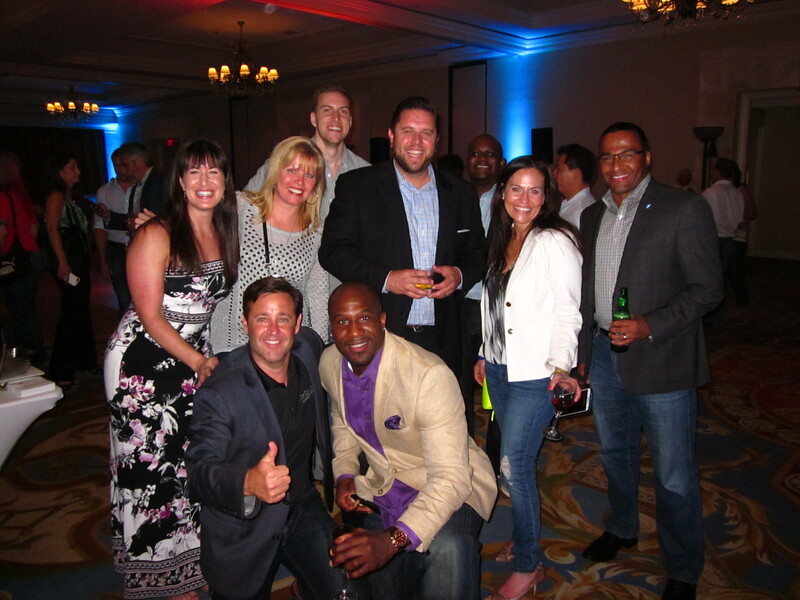 I am not afraid to talk straight about Digital Dealer AND Life… Do you know what I love about our automotive family? They are performance driven, personable, and incredibly friendly people that work insanely hard, and do not hesitate to help others. What other industry can a guy like me ask for prayer support and get overwhelming response? Trust me, a car guy or car gal are not afraid to share their personal convictions. The only thing bigger than a car-guy/car-gal’s courage is their heart. 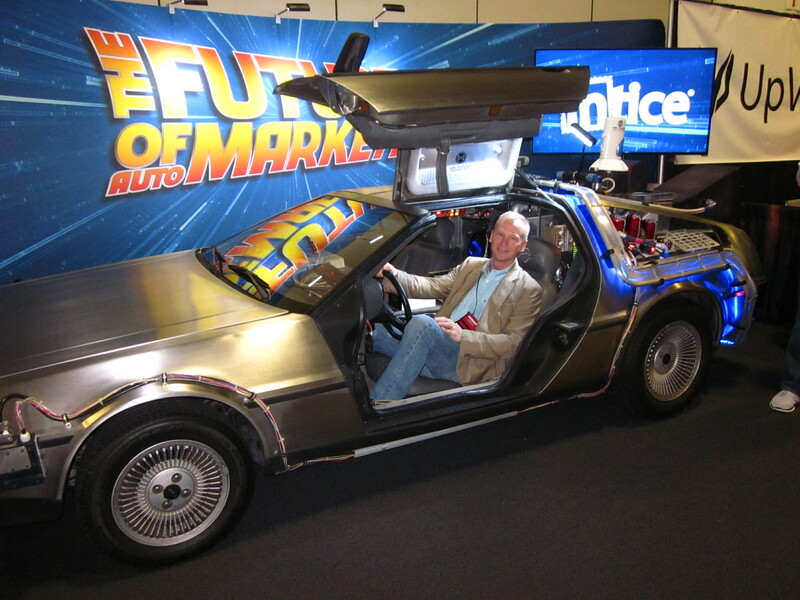 Driving away until I see you at Digital Dealer 19 in Las Vegas! So long, farewell, auf Wiedersehen good night! So I wrap up another Digital Dealer review. I encourage you to leave your thoughts and comments below on what you thought of Digital Dealer 18. If you can handle my sarcastic and sometimes scathing commentary within the automotive sphere, give me a follow on Twitter at @kevinfrye1, and I look forward to seeing you at Digital Dealer 19 in Las Vegas, October 5-7, next fall. I will be celebrating my anniversary with the lovely Julie Frye and hope to see the Brittany Spears show while I am there. Until then, hit me baby one more time!